Hyundai Motors, the leading South Korean auto-unit will soon be seen participating in the World Rally Championship, to be held in 2013. Recently, the car maker has showcased it’s all classy the 2013 i20 WRC hatchback at the 2012 Paris Motor Show. This hatchback is said to carry some exciting features that will enable it to lock horns with other prominent WRC cars like Volkswagen Polo WRC and Ford Focus WRC. Therefore, you can certainly predict that the Hyundai i20 WRC will be carved out with dominant expertise and spotless engineering. As of now, the company has not given any detailed specification about the 2013 i20 WRC Rally car. As reported by the close sources, the Hyundai i20 WRC is said to come loaded with a 1.6 litre turbo petrol power-train that will have phenomenal power and torque churning calibre. It is referred that the Polo WRC model will toss out 295 bhp power through its 1.6 Litre engine and this gives a hint that how highly calibrate the WRC machines would be. At present, the Hyundai Veloster already has a 1.6 Litre 4-cylinder petrol engine in Hyundai’s fleet. It can be derived that the i20 WRC rally hatchback will come with an engine that has phenomenal power along with a bulk of features. It is also anticipated that the WRC i20 rally car will feature the 4X4 driveability and revamped aerodynamics. In addition, enlarged spoilers along with other sporty outfit curves will surely make this more efficient in running and will give it a cosmetic charm too. With the car maker now looking forward for the 2013 World Rally Championship, we should expect that Hyundai cars will get improved handling and will also have other driving characteristics. At present in India, Hyundai Motors sells the all new revamped i20 that is available in both petrol and diesel in-line options. 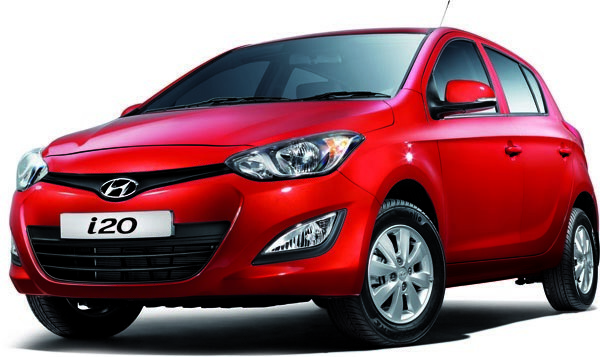 I hope,New Hyundai i20 would come with nice mileage and great performance.